Life is not always a fight. It is not all struggle and wrestling, climbing and striving, pulling and pushing. Still, there are persons who move from argument to argument, from injustice to injustice, from one offense to the next. If we would listen to them, they would have us believe that there are no respites or rest periods, that there is no peace or justice. They can see no end to the fight. All they know how to do is fight. They only know the words of an argument and of their offense. No rehearsal is needed; their victimhood has become their identity. These persons only know how to take a stand and they feel that sitting down is bowing out. And if there were a victory, they would not recognize or accept it. The win would not be enough and if they would start a fight or rehearse an old one just to feel normal. But, there is more to life than wins and losses, than competitions and competitors. We were not created to be grouped as us and them. This is the way that race sees us and we have allowed this social construct, this human- made lens to take our sight. Life is not fighting against us. Life is for us. God did not create us in order to oppose us. And if we believe this, then we are living the racialized life not the spiritual life. 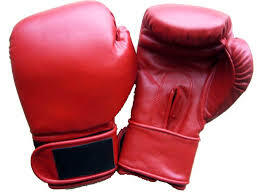 So, take off your gloves and come out of your corner. The life that Christ came to give and is always available is abundant (John 10.10).